Some 40+ of us headed out this morning from the albuerge at Portugalete being treated by an escalator sidewalk to move us about 100 meter to the higher ground. Nice gesture! But we also knew that the albuerge here in Castro only had 18 beds. 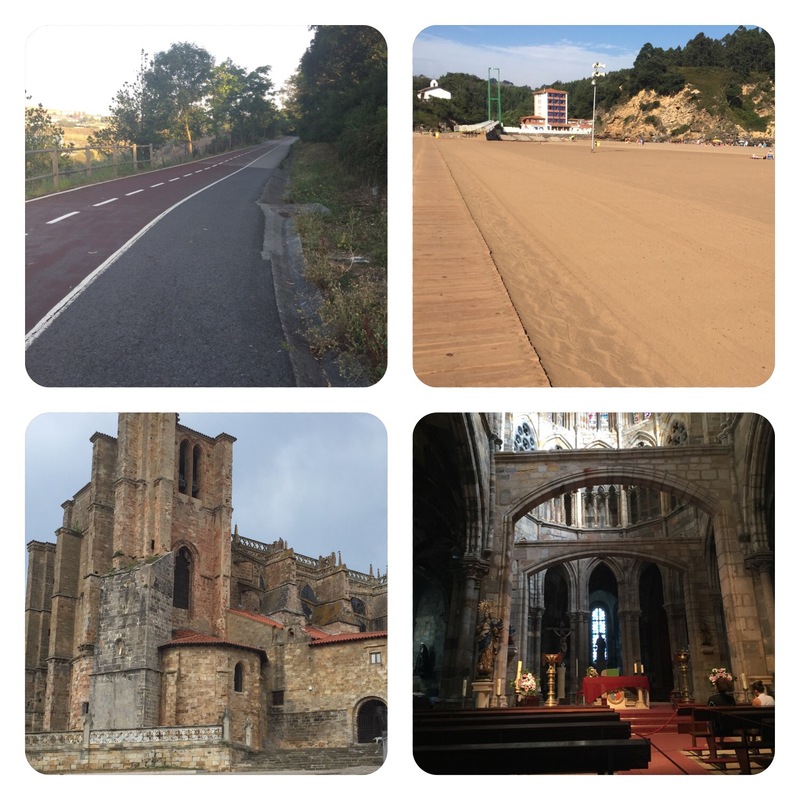 I didn’t want to get into the usual Camino race and simply took my time walking the 21.9 km (13.7 mi). When I arrived, I headed to the tourist office and found an inexpensive hotel in the center (30 €)–soooo nice not to have to wait in line for check-in, shower, laundry, etc. I did my chores and then went a few hundred meters up the hill to the main attraction: the Gothic-style parish church of Santa María de la Asunción that looks more like a citadel than a church. I thought the arches across the nave were very different–one doesn’t usually see that. Much of the walk was on a dedicated bike/pedestrian path that later switched to a “Camino” path. And I actually walked on wooden boards across the beach–yes, this was the path. The temperature was at least 10 degrees less than yesterday–high 80s–still, it was a taxing walk with some healthy uphill segments. 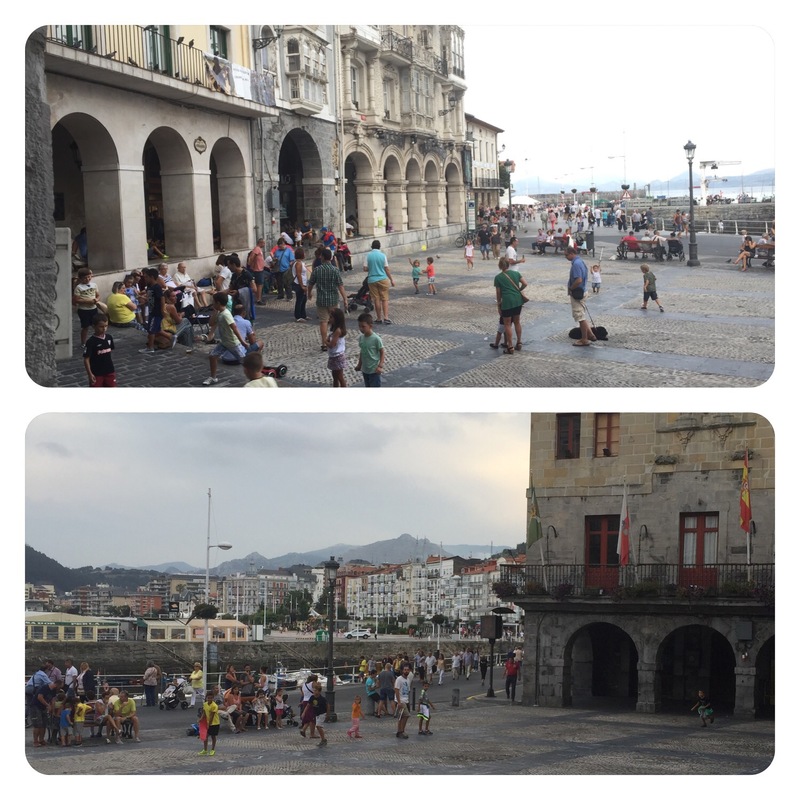 My hotel is half a block from the square that the last two pictures portray, just coming to life at about 8:00 pm. While sightseeing at the church, I ran into three other pilgrims I had chummed around with, so we all went for a tapas dinner. Wow! Beautiful church. Enjoy the tapas for us. Glad you wisely chose not to race but took your time and enjoyed your walk on a variety of paths, then implemented your plan B, which worked out well. The arches across the nave of the church are very different. Nice you could share a meal with fellow walkers.